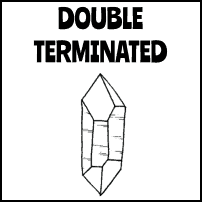 Double Terminated crystals have a termination on both ends. These crystals grow from a “seed” molecule of silicon dioxide in clay and grow outward in both directions. They are not formed on a matrix. The energy in Double Terminated crystals flows in both directions. 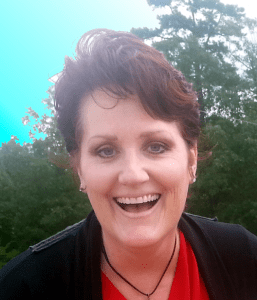 They promote psychic ability and dream recall (because they send as well as receive) and are also used for balance. 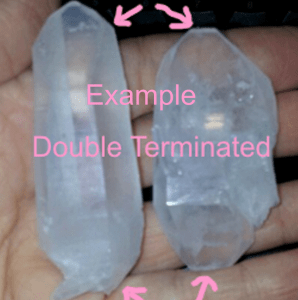 Crystals which are Double Terminated are useful in any application in which you want the energy to flow in both directions.